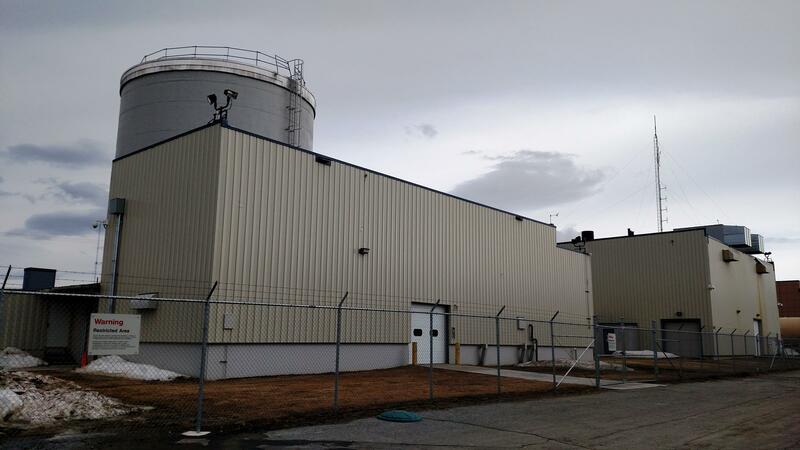 Army Corps of Engineers officials were at Fort Greely last week to begin planning in earnest for the decommissioning and possible dismantling of the old mothballed nuclear power plant on post. The staff from the Corps’ Baltimore office also are talking with officials on post and in Delta Junction about the project, which could take up to a decade to complete. Decommissioning a nuclear power plant is a complex undertaking under the best of circumstances. Even more so when the plant is located in the same building as the facility that provides heat and backup power to Fort Greely. Barber says isolating and removing some or all of the old SM-1A components from the area next to the steam-heat facility, which the nuke plant once powered, is one of the thornier problems that’ll have to be overcome during the decommissioning project. The Army hooked-up diesel-fired boilers to the post’s district heating system after it shut down the SM-1A in 1972. A few years ago, the Army privatized the steam-heat plant, and it’s now operated by Doyon Utilities. So, the project will have to include provisions to ensure the safety of the steam-heat plant workers as they keep it operating while work is under way on the SM-1A. “Our key point is going to be health and safety of both the occupational workers for our staff as well as the staff on the installation and the public as a whole,” Hans Honerlah, a health physicist with the Corps, said. Honerlah says an important part of the preliminary planning now under way includes determining how much of the SM-1A can be safely removed without creating a risk to human health from exposure to radiation. Barber says the decommissioning plan that’s now being developed will address those complexities. She expects that plan to be completed in 2021, and she says the Corps hopes to begin soliciting for a project contractor the following year. She estimates the projects will be done in 2027. But she couldn’t estimate how much the project will cost, because there are so many unknowns. But she says a project to decommission a similar nuclear power plant was estimated to cost $34.6 million. Barber says the Corps has begun market research on potential contractors capable of doing the main project and others to do subcontract work and other possible projects that may be done separately, such as construction of a man camp to accommodate workers. Barber says the project also will include designating the SM-1A an historic property. She says artifacts that were buried with the reactor in 1973 will be returned to post officials. And she says the federal government will work with the Alaska State Historic Preservation Office to help preserve the story of the SM-1A, Alaska’s first and – so far – only nuclear power plant.